Professor Hermann Oberth is one of the three founders of modern rocketry and space travel, together with Konstantin Tsiolokovsky and Dr. Robert Goddard. Oberth’s book “The Rocket Into Planetary Space” describing issues of rocketry and human spaceflight was published in 1923. Oberth worked with Wernher von Braun at the Army Ballistic Missile Agency during 1955-1958, and was a member of our section. 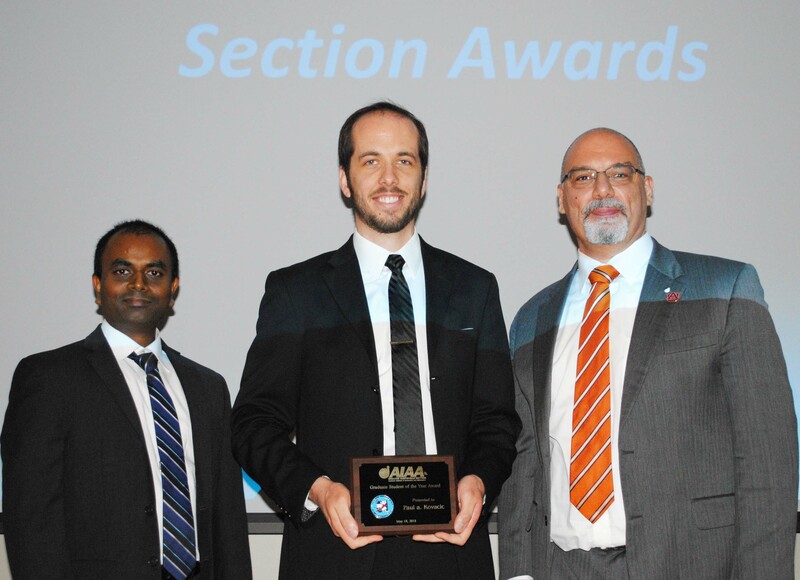 Each year the Greater Huntsville Section solicits nominations for its Section awards. The Awards Committee recommends recipients to the Section Council for its approval, and the awards are then presented at the annual Installation and Awards Dinner held in May. 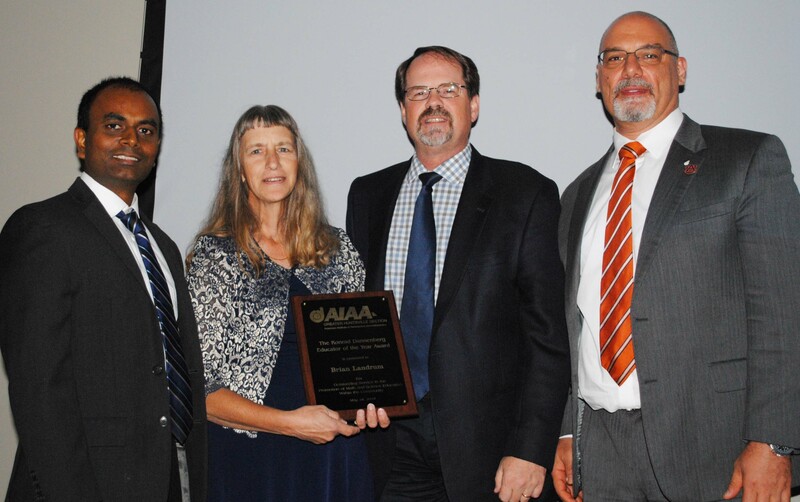 The AIAA Greater Huntsville Annual Section Awards are summarized below, with links to the 2017-2018 award recipients. 1) The Konrad Dannenberg Educator of the Year Award is is presented to a Section member in recognition of outstanding service to education and promotion of math and science within the community. The award is named in recognition of Konrad Dannenberg, a German-American rocket pioneer who was an avid proponent of education, an active member of the AIAA and an inspiration to the aerospace community. Click to learn about 2017-2018 recipient Dr. D. Brian Landrum. 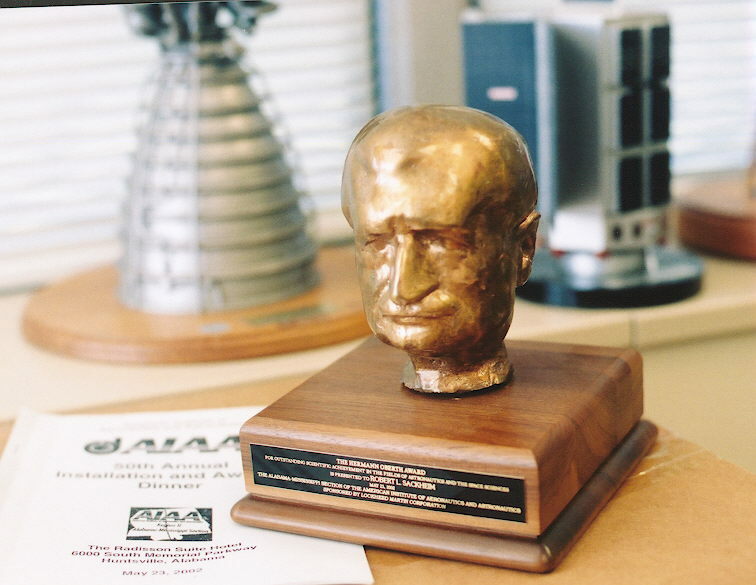 2) The Hermann Oberth Award is presented to a Section member in recognition of outstanding individual scientific achievement in the field of astronautics or for the promotion and advancement of the aeronautical sciences. A bust of Professor Hermann Oberth and a framed certificate are presented to the recipient. Click to learn about 2017-2018 recipient Dr. Roy J. Hartfield. 3) The Holger Toftoy Award is presented to a Section member in recognition of outstanding technical management in the fields of aeronautics and astronautics. An engraved plaque is presented to the recipient. Click to learn about 2017-2018 recipient Mr. David Trent. 4) The Martin Schilling Award is presented to a Section member in recognition of outstanding service to the Section, such as major contributions to its growth, technical programs, or administrative functions. 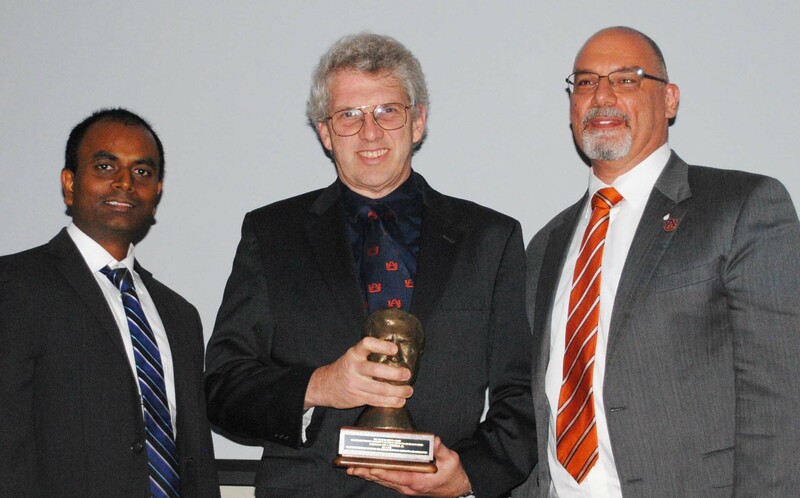 The award is named for the Section's founding president, Dr. Martin Schilling. Click to learn about 2017-2018 recipient Dr. Naveen Vetcha. 5) The Earl Pearce Professional of the Year Award is presented to a Section member in recognition of extraordinary dedication, creativity, and leadership while engaged in professional work or activity within the aerospace community. The award is named in recognition of Earl Pearce who was on the Section Council and served as Supernumerary for many years. An engraved plaque is presented to the recipient. Click to learn about 2017-2018 recipient Dr. Kurt Polzin. 6) The Ed Pruett Young Professional of the Year Award is presented to a Section member of 35 years of age or younger who has demonstrated extraordinary technical skill and dedication in the practice of the Aerospace Engineering profession. The award is named in recognition of Ed Pruett who was on the Section Council and served the Section for many years. An engraved plaque is presented to the recipient. Click to learn about 2017-2018 recipient Mr. Brandon Stiltner. 7) The Undergraduate Student of the Year Award is presented to an undergraduate student Section member in recognition of notable technical accomplishments, active engineering research, outstanding service to the AIAA student section, or active STEM outreach in the local community. An engraved plaque is presented to the recipient. Click to learn about 2017-2018 recipient Mr. Nathaniel A. Long. 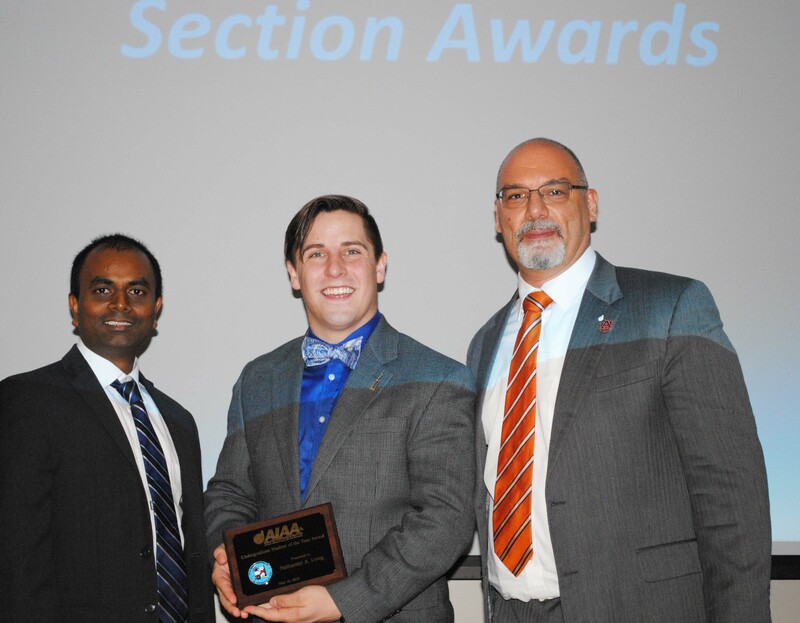 8) The Graduate Student of the Year Award is presented to a graduate student Section member in recognition of notable technical accomplishments, active engineering research, outstanding service to the AIAA student section, or active STEM outreach in the local community. An engraved plaque is presented to the recipient. Click to learn about 2017-2018 recipient Mr. Paul A. Kovacic. Dr. D. Brian Landrum received his B.S. and M.S. degrees in Aerospace Engineering from Texas A & M University in 1984 and 1986. From 1986 to 1988, he was a Member of Technical Staff in the Aerodynamics Department at Sandia National laboratories, in Albuquerque, NM. He received his Ph.D. degree in Aerospace Engineering from North Carolina State University in 1992 where he was a Graduate Research Fellow in the NASA sponsored Mars Mission Research Center. He is currently an Associate Professor and the Associate Chair of the Mechanical & Aerospace Engineering Deportment at the University of Alabama in Huntsville. Dr. Landrum’s research interests included aerospace systems design, subsonic through hypersonic aerodynamics, vehicle flight mechanics and performance, biologically-inspired flight, engineering education, and the history of technology. He teaches courses in introductory aerospace engineering, aerospace vehicle design and aerodynamics. He has authored or co-authored more than 100 journal articles and technical papers. He has advised 43 PhD and Master of Science degree graduates that are employed at various national and international aerospace companies and agencies. Dr. Landrum has served as the UAH AIAA Faculty Advisor for 25 years and currently serves as the Region II Faculty Advisors Liaison. 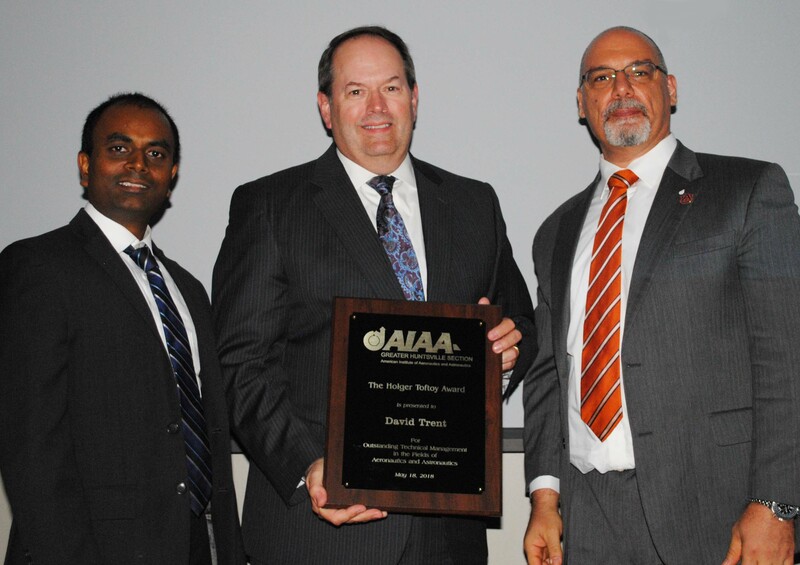 He is an AIAA Associate Fellow and a member of the AIAA Education Book series advisory board. He previously served as a member of the AIAA Plasmadynamics and Lasers TC and as the Region II Deputy Director for Technical Activities. 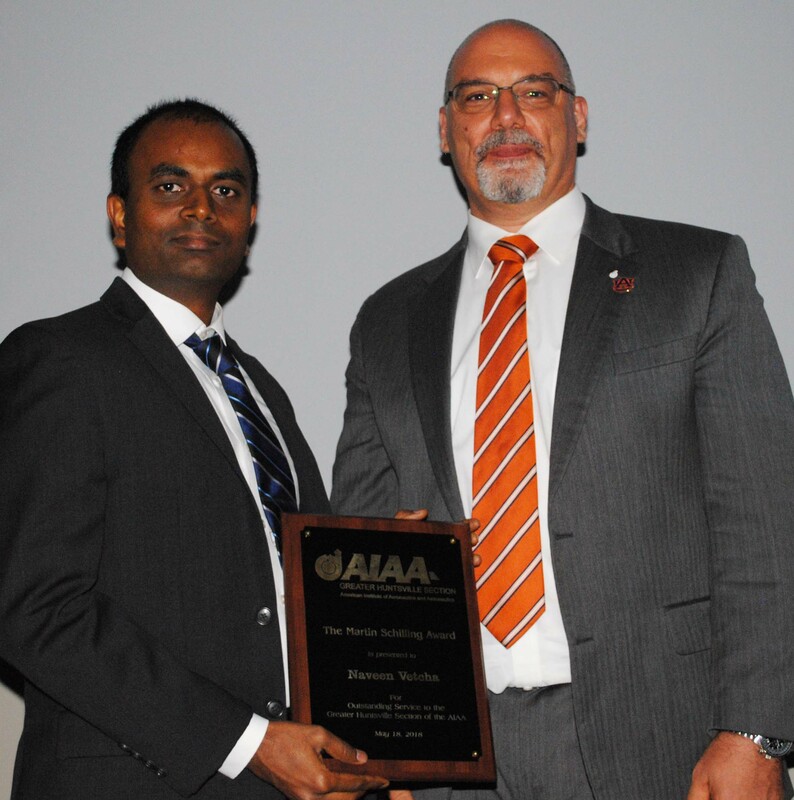 He was presented the AIAA National Faculty Advisor of the Year Award in 2004. He is also the advisor for the UAH Baptist Campus Ministry and the Ratio Christi Student Section. While at UAH, Dr. Landrum helped provide resources and training to high school Engineering Academies in Huntsville, Madison, Decatur and Guntersville, Alabama. He has encouraged the growth of UAH AIAA STEM outreach to local schools and increased participation of our student members in these activities. Dr. Landrum was recently selected to participate in the AIAA Distinguished Mentor Program to provide K-12 STEM presentations and support. Roy J. Hartfield, Jr. is the Walt and Virginia Woltosz Professor of Aerospace Engineering in the Samuel Ginn College of Engineering at Auburn University. He holds a PhD in Mechanical and Aerospace Engineering from the University of Virginia (1991). Dr. Hartfield’s technical interests include optimization of aerospace systems, propulsion, aerodynamics, wind tunnel testing, and optical diagnostics. He is well published in these areas. Dr. Hartfield is active in the American Institute of Aeronautics and Astronautics, having served as a member of the High Speed Airbreathing Propulsion Technical Committee, a member of the Applied Aerodynamics Technical Committee and as Technical Chair of the 25th AIAA Applied Aerodynamics Conference. Dr. Hartfield has taught short courses to a range of audiences on the topic of Rocket Propulsion, he has consulted on airship design, he has developed and patented an engine, and he co-founded Research in Flight, the developer of FlightStream. Dr. Hartfield has directed numerous funded missile related analysis and design efforts for the Defense Intelligence Agency, the Army Aviation Command, NASA, and private companies. The technical areas for these efforts have spanned launch vehicle design, solid motor modeling, liquid rocket engine based missile systems, guidance problems, optimization methodology development, reverse engineering of missile systems, surrogate modeling, boosted ramjet systems and scramjet systems. David (Dave) Trent is the Site Director for the Airbus Engineering Center in Mobile, Alabama. As the first Mobile center employee hired in 2005, Dave has led the office’s growth from its creation to its current size of over 200 engineering and design staff. Prior to joining Airbus, Dave held engineering management positions at Bombardier Aerospace and Gulfstream Aerospace and was General Manager at Hiller, Inc. He has been involved in the development and delivery of aircraft cabins since 1993. Throughout his career, Dave has been passionate about efficient process improvement, robust design solutions, a drive for excellence, and diversity of decision making. Dave gives Airbus a strong and welcome community reputation through his civic involvement. He is vice president of the Board of Trustees of the Gulf Coast Exploreum Science Center (having previously been chairman), a member of the University of South Alabama’s College of Engineering Industrial Advisory Board, a member of the Mitchell College of Business Executive Advisory Council, the secretary for the Alabama Aerospace Industries Association, a member of the Board of the United Way of Southwest Alabama, and a member of the Board of the Ascension Health Gulf Coast Health System. Raised in Southern California, Dave received his Bachelor of Science Degree in Mechanical Engineering and Masters Degree in Business Administration from the California State University of Fullerton. Dr. Naveen Vetcha is a propulsion analyst at ERC Inc. supporting Jacobs ESSCA contract at NASA Marshall Space Flight Center (MSFC). His work involves system level analysis of RS-25 Engines that will power the core stage of NASA’s Space Launch System (SLS). He is also a part-time instructor at UAH College of Engineering. Prior to this, he was a staff engineer at ManTech where he was the lead test analyst for James Webb Space Telescope (JWST) Sunshield’s shape analysis. Before joining ManTech, he worked as an Application Engineer at ESI US R&D providing customer support for complex Multiphysics analysis using CFD-ACE+ suite of software. He has been a very active member of AIAA Greater Huntsville Section serving on the section’s council as the Chair (2017-18), Vice-Chair (2016-17) and Honors & Awards Director (2016). He is a member of ASME, AAAS, and HAL5. He is an amateur astronomer and is the current outreach director at Huntsville based Von Braun Astronomical Society (VBAS). Dr. Vetcha received MS & PhD degrees in Mechanical Engineering from University of California Los Angeles, MTech in Mechanical Engineering from Indian Institute of Technology Kanpur, and BE in Mechanical Engineering from Osmania University, India. Kurt Polzin received his B.S. in aeronautical and astronautical engineering from The Ohio State University in 1999 and his Ph.D. from Princeton University in 2006, where he was a National Defense Science and Engineering Graduate Fellow. Since 2004, he has been with NASA’s George C. Marshall Space Flight Center (MSFC) in Huntsville, AL, as a Propulsion Research Scientist with the Propulsion Research and Development Laboratory. He is presently the technical lead for electric propulsion at MSFC. Dr. Polzin is an Associate Fellow of AIAA and is a member of the AIAA Electric Propulsion Technical Committee. 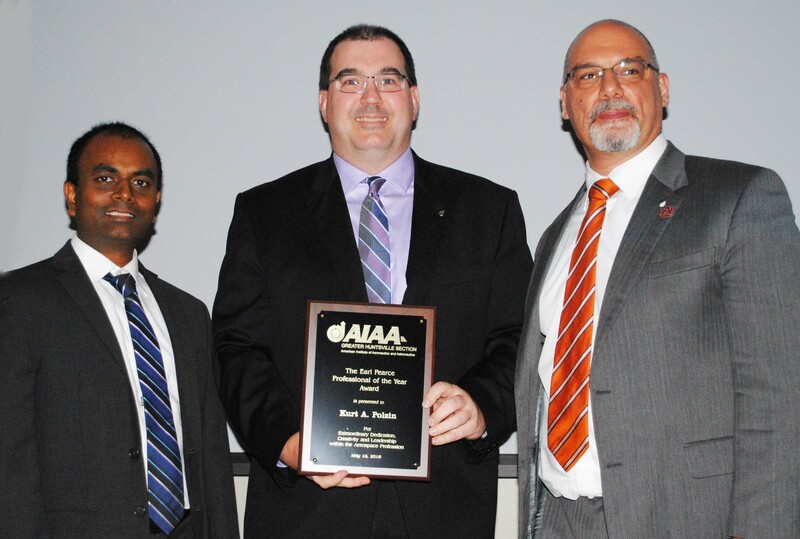 He is a past chairman of the Greater Huntsville Section and is currently the Director for the 8 states comprising the Southeastern Region of AIAA. Dr. Polzin is also a Senior Member of IEEE and has been a technical planning committee member for the International Electric Propulsion Conference and JANNAF Spacecraft Propulsion Subcommittee meetings. Brandon Stiltner is an Aerospace Engineer with 10 years of experience from various areas within the industry sector. He is currently employed with Jacobs Technology working as a contractor at NASA MSFC. He is a Guidance, Navigation, and Control Engineer working with the Separation Dynamics team, analyzing various separation events for SLS including staging, tower clearance, and jettison events. Brandon holds B.S. (2007) and M.S. (2011) degrees in Aerospace Engineering from Virginia Tech and is a Certified Modeling and Simulation Professional Engineer. Brandon is actively involved in the AIAA at both the local and national levels. He is a Senior Member of the Institute and an Associate Member of the AIAA Modeling and Simulation Technical Committee. 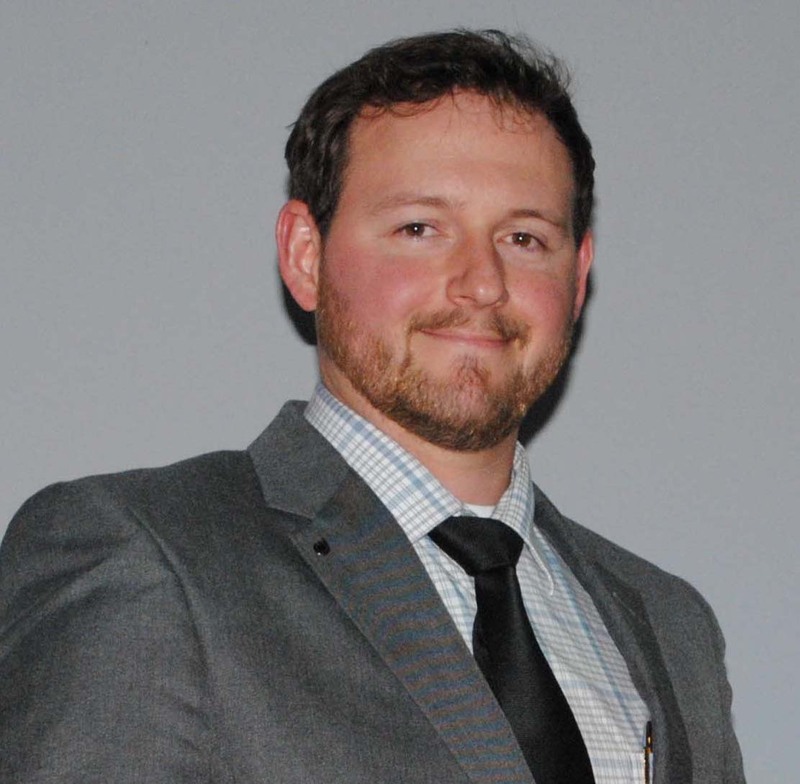 Since 2015, Brandon has been in a leadership position on the AIAA Greater Huntsville Section. Most recently, Brandon was the Chair Emeritus of the Section. Nathanial chose engineering to combine his loves of problem solving, math and science, and science fiction. He earned a Bachelor of Science in Aerospace Engineering with a minor in German from the University of Alabama in Huntsville. While at UAH, Nathanial was active in the Space Hardware Club, which he was president of in 2016-2017, and he was the project manager for the Student Launch competition team in 2017-2018. Nathanial has also co-oped with RadioBro corporation since 2014, where he has managed 2 product lines and a satellite office in Bremen, Germany during his 10 month study abroad. Nathanial participates in Pumpkin Blast with AIAA as well as other outreach and professional development opportunities, and enjoys swing dancing in his free time. Paul Kovacic is a doctoral student at Auburn University in the Department of Aerospace Engineering, where he has also received his B.A.E. and M.S. degrees. As part of the Advanced Propulsion Research Laboratory, he is pursuing the development of a robust computational tool that will extend current computational fluid dynamics capabilities by enabling rapid determination of the linear stability characteristics of a given liquid rocket engine configuration. In addition to his academic pursuits, Paul has been actively involved with AIAA since he was a freshman, including serving two terms as treasurer and president, respectively, for the Auburn student chapter during a time that saw a record number of student members involved with student chapter activities.